A harbour city with amazing surf beaches linked by the spectacular Bathers Way coastal walk, Newcastle is north of Sydney and a delight to explore. Enjoy world-famous Merewether Beach, cool bars, delicious food, fascinating history, and a lively arts and music scene. Australia’s largest surfing festival, Surfest, is in Newcastle. The waves shaped the success of Mark Richards, who was crowned world surfing champion four times. Amble along Bathers Way and swim in the art deco Newcastle Ocean Baths or at Bogey Hole, which convicts carved from rock in 1819. For more outdoor adventures, you can soar on zip-lines at the TreeTop Adventure Park, learn surfing at Surfest Surf School and explore the harbour on a kayak tour. 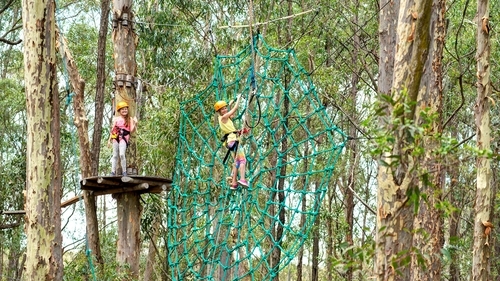 For a wildlife experience, take the kids to Blackbutt Reserve and see the native animals, including koalas, emus and kangaroos. Accommodation options range from luxury hotels to backpacker hostels. The delicious food scene includes awarding-winning restaurants such as Subo and a number of tours, such as Epicurean Excursions and One for the Road. Sip cocktails at waterfront restaurants or bars, head for Beaumont Street in Hamilton for more outdoor cafes and eclectic Darby Street, in Cooks Hill, is popular too. The Hunter Street Organic Markets are every Wednesday to Saturday. For impressive art, visit the Newcastle Art Gallery. The city celebrates its creativity with events all year, including Newcastle Jazz Festival. A leisurely drive away is the Hunter Valley wine region, Australia’s oldest wine region.